The Ember bag is a Kickstarter that – at first glance – seems to be a bag out of some first-person-shooter. 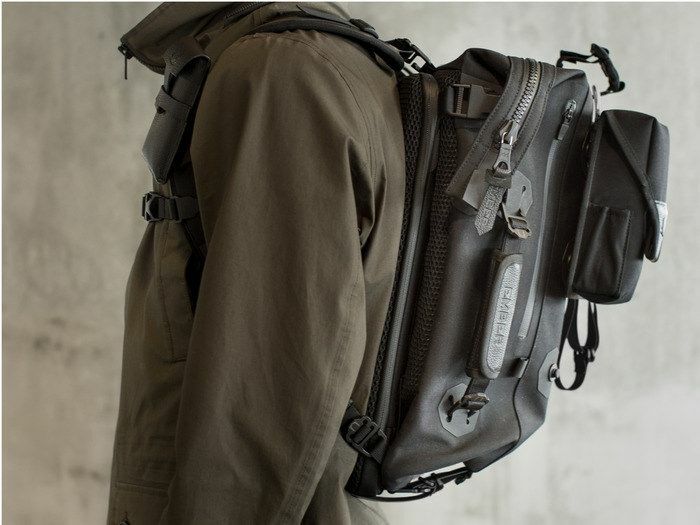 It’s a modular backpack design, which starts out as a “20-liter urban pack” and can be extended by adding all manner of sleeves and pockets. If you want simple. 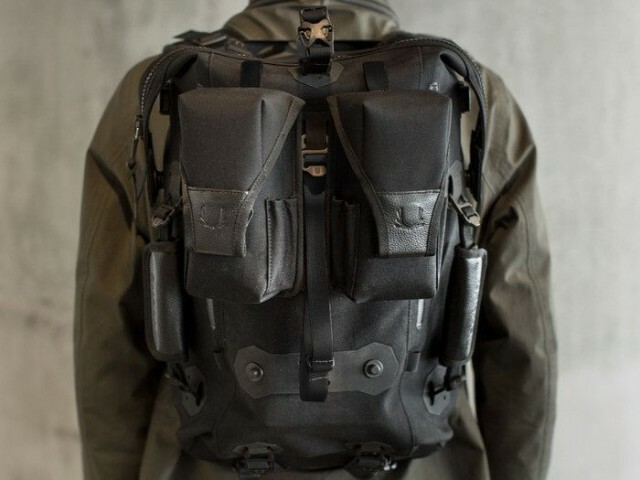 Then go for the basic pack, a backpack with padded. Adjustable straps and a kind of hybrid zipper/roll-top closure. The bag shrugs off water, and looks very comfy. From there you can add pouches and straps to the outside to fit your needs. I’d say these would be best for outdoorsy adventure type stuff. Because individually-accessible pouches, arrayed out of your sight and worn in the city means just one thing: pickpockets. You can also add a laptop sleeve to the inside and a phone case to the straps. 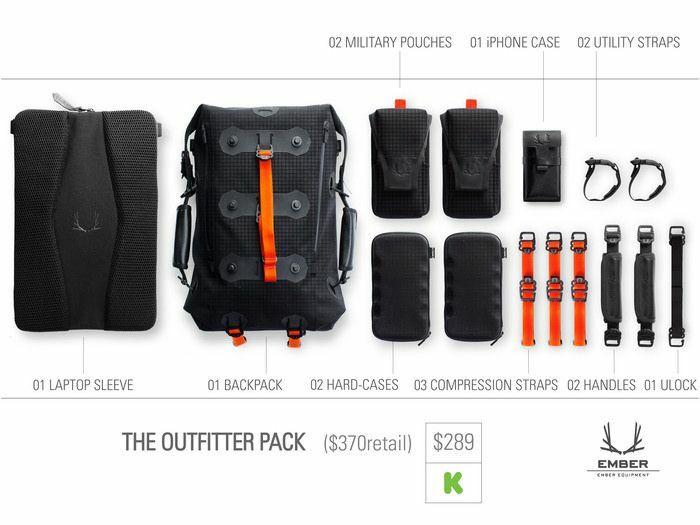 There’s also a U-lock holder, compression straps and more.